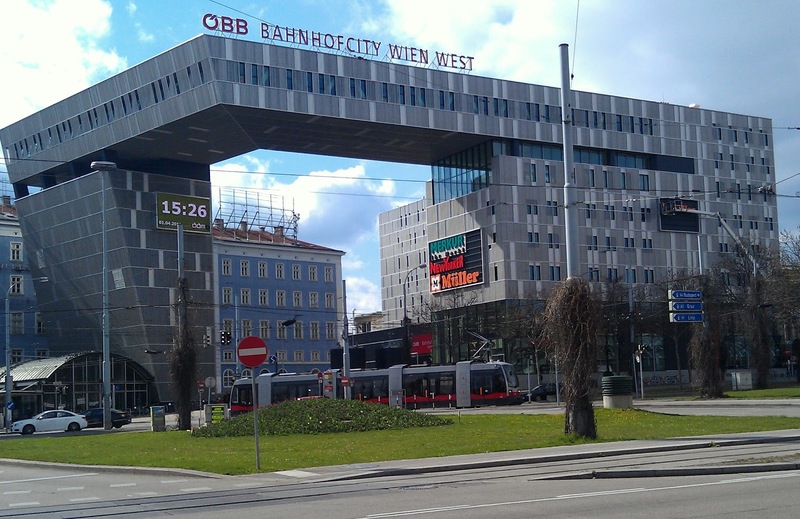 Eclectic (at Best): A Month in Vienna: Plan it Now! When I retired, my short list of things to do included spending more time in Vienna, Austria. In the past two years I have done so, making month-long visits to the city in early Spring 2011 and 2012. They were so much fun, I plan to continue these extended stays in coming years. Staying a month in Vienna has advantages over shorter trips there. One is that I do not feel the need to cram everything I want to do into just a few days, so my pace is more leisurely and relaxed. Also, an extended vacation in the city ensures that I have a wider selection of concerts, operas, and other events from which to choose. For example, during both of my month-long visits, the Musikverein had an orchestra playing Mahler’s Das Lied von der Erde, a favorite, and had other attractive offerings scattered among other concerts that did not interest me. With more time to amble about the city, I made multiple visits to the Saturday flea market at Naschmarkt, filling my bags with fascinating old pictures, postcards, and books. Also, I went several times to the book and stamp room of the Dorotheum (adding more things to cart back home), and even attended an auction there. The extra time in the city also gave me time to walk around some of areas of the city, such as Simmering, that I have rarely visited. 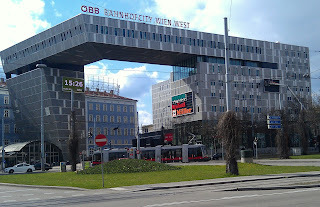 A month in Vienna not only provide opportunities for more exploration of the city, but also can be economical. The cost per day of vacationing in Vienna can be significantly reduced by renting an apartment for thirty days or more. Also, because rental apartments have fully equipped kitchens, money can be saved by making and eating meals there, dining out only on special occasions. The monthly cost of renting a comfortable, fully equipped apartment starts at about $50 per day for a place large enough for one or two people. A comparable hotel room, without a kitchen, would cost at least $100. If two unrelated people want an apartment large enough for two separate sleeping areas, the cost per person starts at around $35 per person per day. If you enjoy Vienna and have the time, a month-long visit may make sense. Here are some things to consider when planning such a trip and some tools to help. For me, any month is a good month to be Vienna, but some months are better than the others. The least desirable months for a longer stay are July and August. During these months, the Staatsoper, Volksoper, Burgtheater, and Musikverein do not offer their regular fare of performances. Major orchestras and production companies are traveling or on vacation. However, all is not lost during these months because the city provides some music, outdoor theater, and other attractions for tourists, often at spectacular outdoor venues such as the City Hall plaza and Schönbrunn Palace. Two other things to consider when thinking about a July or August stay in Vienna: First, most apartments are not air conditioned, and these months can be scorchers. Second, finding a bargain — or even reasonably priced — flight from the United States to Vienna during these months is likely to be more difficult than during other months. ● I expected the weather to be decent, and both years, it was very comfortable in Vienna during these months, with only a few uncomfortable days. ● The city would not be too crowded with tourists; there were plenty, but not hoards. ● I would have a good choice of apartments for the month. In both 2011 and 2012, the timing of my month-long stays worked out well. However, two things that I enjoy were unavailable until the end of my time in Vienna. First, because of the iffy weather, few musical events were held at outdoor venues. 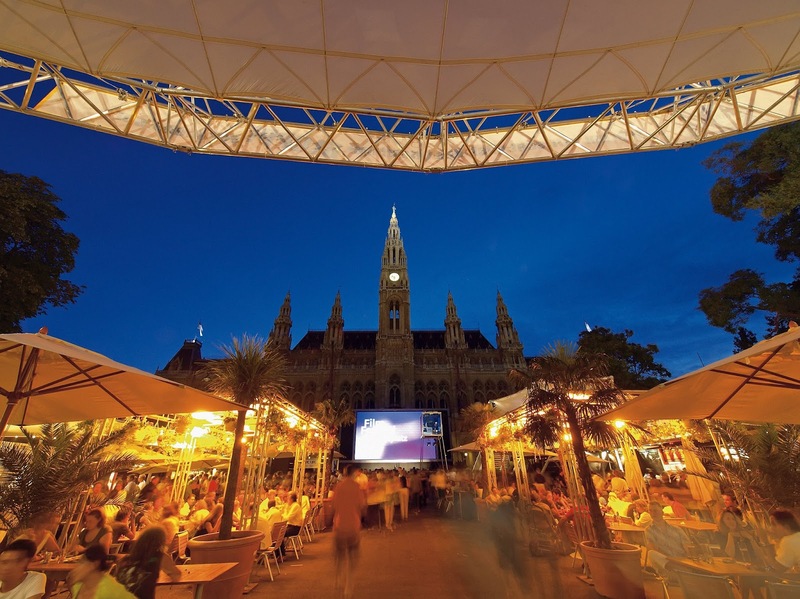 Outdoor concerts and other events are usually fun in Vienna and many are available in warmer months. Second, the city’s heuriger (places located near the Vienna Woods serving new wine) did not offer outside seating until the weather warmed near the end of my vacation. Sitting outside at a heuriger, surrounded by vineyards, is one of the true pleasures of a visit to Vienna. No doubt, May, June, September, and October are spectacular months to be in Vienna, though they cost a little more and are more crowded. The city’s annual arts festival (Wiener Festwochen) starts in May, offering some of the best musical and other cultural events of the year. The festival continues through June, and is supplemented that month by many special outdoor events. In September and October, the weather cools and the new concert and opera seasons open. These months are great for tromping around the Vienna Woods and sipping new wine in Grinzing, Heiligenstadt, and Nussdorf. Although a visit that straddles November and December might include some very cold days, it would also provide an opportunity to visit Vienna’s Christmas Markets that open around the middle of November and last until Christmas. At last count, Vienna had thirteen different Christmas markets (see http://www.vienna4u.at/christmasmarket.html for descriptions and locations). My favorites are the old Vienna Christkindlmarkt at Freyung; the large, colorful Christkindlmarkt in front of the Vienna city hall; and the Christmas village (Weihnachtsdorf) located at the old hospital, which is now part of the University of Vienna. 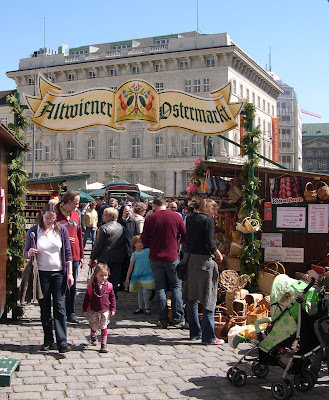 These Christmas markets are a treat to visit. I have timed several week-long Vienna vacations to be there in early December so that I could enjoy the warm wine, decorative lights, historic settings, and gemütlichkeit of these Christmas markets. In some years, the evenings at these colorful markets were comfortable; during a few years, the cold was almost unbearable. In both 2010 and 2011, I found an apartment for my month-long stay using the internet. Both years, I spent several hours comparing options, finally choosing one in a preferred location at a reasonable price. In 2010, I traveled to Vienna with a friend -- a former college roommate -- who had recently retired and had never visited Vienna. We want a space large enough to have two sleeping areas. We ended up in a 70+ square meter apartment on Schopenhauergasse in the 19th district (about four blocks from the Volksoper). It was fully equipped with wireless internet, dish- and clothes- washers, cable television, and kitchen. Bedding, towels, dishes and other necessities for daily life were provided. The apartment had one bedroom and one very large living room/kitchen area. Moving an extra bed from the bedroom to the living room, we had the two living areas we wanted. Part of the Living Room-Kitchen at Schopenhauergasse Apt. The apartment was nicely maintained. After occupying it, we did not see the apartment owner again, though we talked to her on the telephone on different occasions. We cleaned the apartment (with the equipment that was provided) and washed our bedding. The location of the apartment was nearly perfect. It was on a quiet residential street a short walk to the streetcar on Wäehringerstrasse and two nearby subway stops. Several small grocery stores and bakeries were within four blocks. Also, a couple of block away was an outdoor market with fresh vegetables, plus some good baked and cooked goods. We paid just under $2,000 for the apartment (including utilities), about $33 per night per person. The utilities were included in the price. The only disconcerting thing about renting the apartment was that I had to wire the full payment for it in a couple of months advance. The owner did not take credit cards. Wiring this amount of money to an unknown person was a bit of a leap of faith. Fortunately, it worked out well. In 2011, I rented a smaller apartment (36 sq meters) for myself in the 6th district, on Liniengasse. The price was about $1,500, or $50 per night. I chose the apartment for its location (a short walk from the West Train Station, near Mariahilferstrasse) and amenities. It was on the third floor of a five-story building; a small grocery store was on the first floor. From the apartment, it was a short walk to a bus stop on Gumperdorferstrasse and to a subway station. The owner went out of her way to make the stay there enjoyable, meeting me at the West Train Station to guide me to the apartment and offering to clean and wash the bedding whenever I wanted her to. As with the other apartment, it was fully equipped, including such extras as a microwave and electric tea pot. Again, I paid for the apartment several weeks in advance, but this time I was allowed to use Paypal, which meant that I could use my credit card and had some protection if something went wrong with the rental. I used the first one for my two rentals, though I also checked rental accommodations (and even tried to rent an apartment) using the second one. I have not used the third one. Each of these sites provide, in German and English, a list of apartments for rent with a description, pictures, and a location map for each apartment. The first site, www.apartmentnetzwerk.at, is easiest to navigate (though it is by no means elegant) and it has a calendar showing for each apartment the days that it has been rented and the days it is available. Using an interactive page, you can check price and make a reservation by entering the first and last days that you would like to rent the apartment. This page will confirm the apartment’s availability during the days you want it and show the price. At that point, you can use the interactive page to reserve the apartment for the days you selected. After you make a reservation, the apartment owner will contact you by email with information about payment. The last time I looked at this site (June 2012), it had listings for 359 apartments. These listing could be sorted by price or by location (district). One thing is important to remember: for many of these apartments, to get a bargain price you need to stay a full 30 days (a month). For example, when I searched the price of the apartment on Liniengasse where I stayed this year, I found the price was 1,785 Euros from November 1 to November 30 (29 days), but was 1,125 Euros from November 1 to December 1 (30 days). The second website is a bit clumsier. However, it has one feature that is better than the first site: it allows sorting of apartments by category (economy, standard, premium), location (district), and features (smoking, pets, internet, parking, elevator). Thus, it can help you find an apartment that best meets your needs if you have a special situation (e.g., traveling with a dog). Unfortunately, this website does not have the calendar feature showing the dates that the apartments are available. It also requires more clicking to find pictures, price, and descriptions. If you find an apartment that you want to rent, you must complete a form specifying the apartment and the days you would like to rent it, then the site operators will respond by e-mail in a few hours letting you know if the apartment is available when you want it and its price. This site had about 145 apartment units listed for rent. In early 2011, had some problems reserving an apartment using this site. Twice, I sent, via the web site, an inquiry about renting an apartment. Each time the response stated that the apartment was not available on the dates I requested. Because of time zone differences and the lag between completing the apartment inquiry form and the response, I wasted several days trying to rent, without success, an apartment though this site. The third site allows sorting by district, apartment name, number of persons accommodated, size, and quality rating. In June 2011, it had 196 apartments listed. Like the second website, it does not show on-line the availability of apartments, instead requiring completion of an inquiry form to determine if a specific apartment is available during the days that a person wants to rent it. This set of listings is mostly for daily and weekly rentals, but occasionally has listings for longer term stays. The second site is http://vienna.en.craigslist.at/apa/ It might be worthwhile to keep an eye on these listings. They ads by people who want to rent their apartments some specified period (weeks to months) while they will be away. With a little luck, it may be possible to get a good deal on such a rental for the weeks that you plan to spend in Vienna. Other websites offer a small set of apartments located together or near each other. In most cases, these apartments are available for short-term or longer term rental. When you know the days that you plan to be in Vienna, it makes sense to purchase tickets for major cultural events in advance. Of course, the earlier you decide which events you want to attend, the more likely you will be able to buy tickets before the event is sold out. Also, you are more likely to be able to find tickets in your preferred price range. There seems to be no shortage of tickets costing several hundred dollars each, but ticket costing $30 to $60 each are much harder to find for the more popular events. 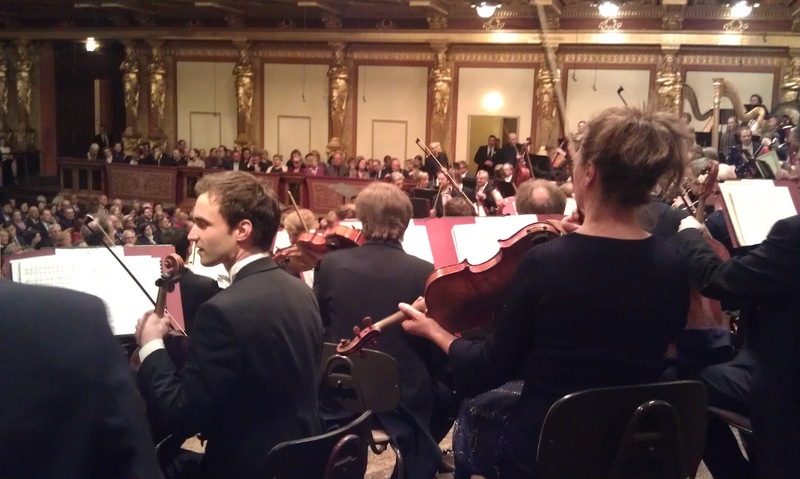 When it comes to the premium music events in Vienna, I prefer to buy directly from the official ticket office of the Musikverein, Konzerthaus, Volksoper, and Staatsoper. When buying directly on their websites, it is easy to review the schedule of upcoming performances , select the ones to attend, pick the seat(s) that I want, and purchase the tickets. You can use these websites to find the concerts at the Musikverein and Konzerthaus for coming months, and you can buy tickets, selecting the price range you want and selecting your seats. To buy tickets, you will need to establish an account at the sites, which is very easy. Also, you can sign up for email updates that will keep you informed of coming events. After you purchase tickets, you can pick them up at the ticket office of the Musikverein or the Konzerthaus after you arrive in the city. The sites for the Vienna State Opera and the Volksoper have similar pages, easy to negotiate, to identify performances scheduled for each month and buy the tickets you want. I have used these pages for several years and have never had any problems with them. Just remember to print out receipts for your purchases and take them with you. By finding the right apartment, a person traveling alone should be able to have great month in Vienna for about $150 per day; a couple traveling together can have a month in the city for about $135 per person per day. For a single traveler, the costs include $1,000 for an international flight, $1,500 for an apartment, and $2,000 ($67 per day) for everything else (meals, transportation, entertainment). For a couple, the expenses include $2,000 for international transportation, $2,200 for an apartment, and $65 per day per person for everything else. If those costs fit your budget, if you have the time, and if you enjoy what the great city has to offer, it’s time to go.